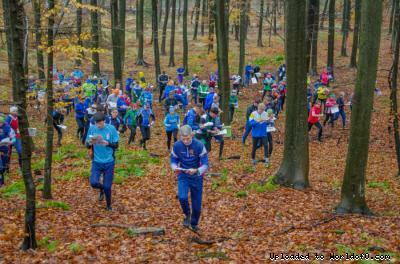 Event description Ultra-long distance orienteering course with mass starts and splits. Splits are used in all classes. Foreign Runners: Use EN/UK entry form at: www.ok73.dk/jm2015 Last entry, October 27, at. 23:59. Swedish runners have their own entry form in SEK. Temperate water with or without juice plus cold water with or without juice, is offered on all courses and in the finish area. An additional refreshment control, in classes H-20, H21, H35, H40 and H50, will offer pieces of banana, orange and raisins. Terrain description Highly diversified forest with long straight paths through the woods and well-developed paths. Smooth hills with a detail rich graphical representation. Deciduous forest varies with conifer forest and open areas. Wind felled areas are plotted as a hazardous area on the map. Training possibilities There will be a Sprint orienteering event the day before. Holiday activities,nature,hiking etc. Nice historical city nearby with a beautiful castle with park and a historical town centre with shopping.